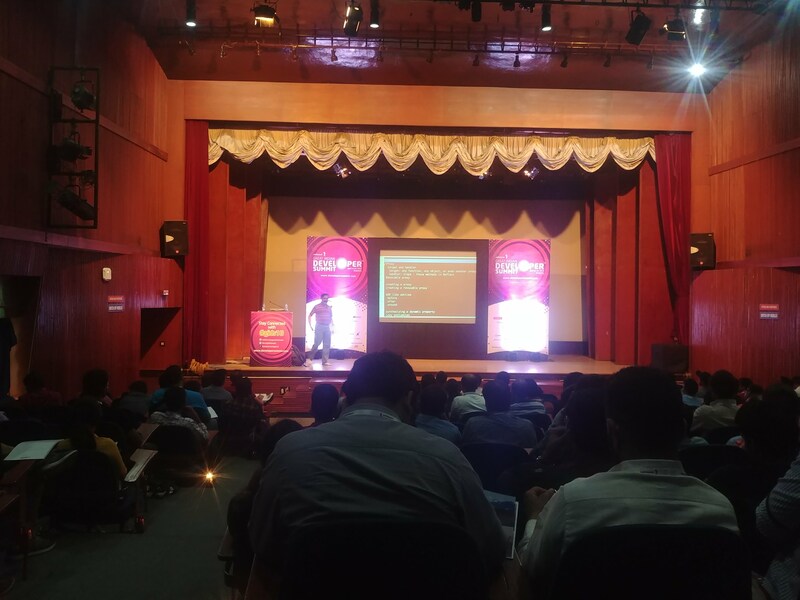 First day at GIDS 2018 continues after lunch. So far, all talks have been running on time! On time is a good thing. Right after the lunch, it was time for a townhall session with a great panel of technologists. Townhall session was moderated by Dr. Venkat and the panelists were Scott Davis, Kito Mann, Michael Carducci, Pavan Podila and Supriya Srivatsa. Multiple questions raised in the session revolved around Privacy / Ethical issues in light of the recent Facebook controversy. One delegate voiced his concern about the technology scene becoming a hellhole of frontend frameworks, while another wanted to know about the panelists’ thoughts on future of automation and how engineers should adapt to it. 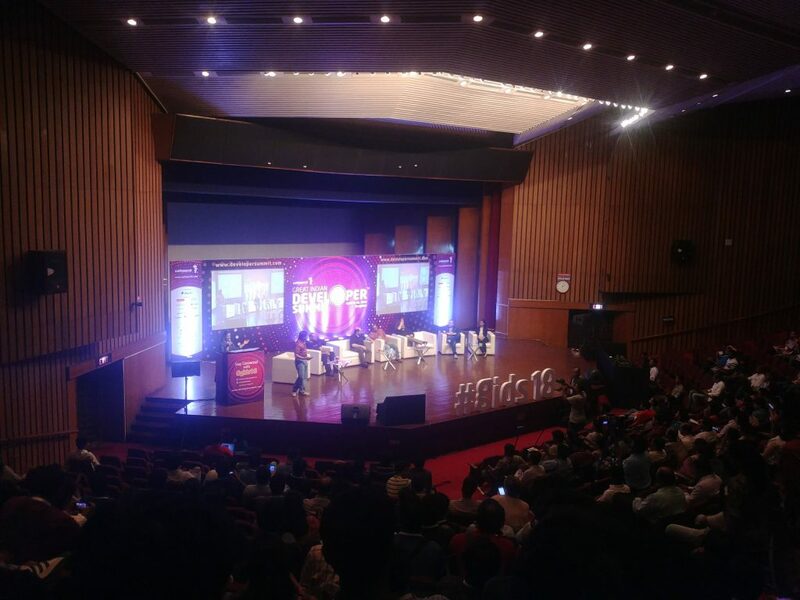 Questions were also raised on the tradeoffs on ‘competition vs collaboration’ and also on two of the recent remarks about the Indian engineering space (‘Indians not creative’ remark and ‘80% indian engineering graduates are unemployable’ remark by some technology leaders). Last question was posed by the only female questioner of the session about the skewed gender ratio in engineer. The townhall session was informative and the discussions were current and valid. Now, its time to go back to focused sessions. Next session I attended was It’s Spelled ‘Accessibility’, not ‘Disability’ by Scott Davis. Mr. Davis took us through a series of examples discussing why Accessibility should be a first class citizen while building software and not a ‘feature’ to be included after the development. He emphasized on why universal / inclusive design is important and beneficial, and how accessibility is usually misinterpreted as disability. The talk taught me a lot about many things that I did not know previously on how a web page gets transformed into various forms using accessibility tools. Last talk of the day for me, started with a magic trick! Yes, you read that right. Mr. Michael Carducci is a magician and a programmer, and before diving into slides and code snippets, he entertained the audience about what animations and transitions are using multiple card tricks. What a great use of metaphors! 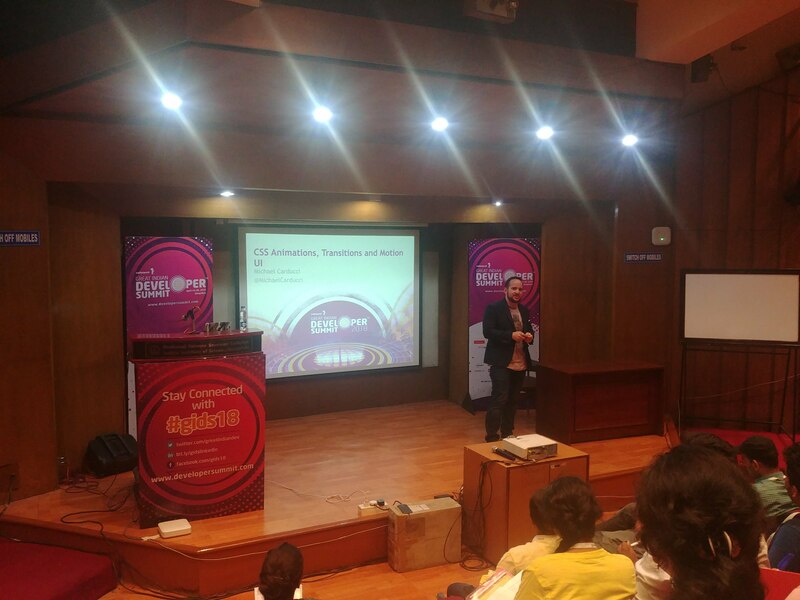 The talk titled CSS Animations, Transitions and Motion UI walked us through the animation, transition and transform functionalities of CSS, with a lot of examples. Before concluding, he also introduced us to Motion UI and WOW JS. Last talk of the day ended at 6:40PM. Right on the clock! Kudos to the GIDS team. It was a great day. All talks were informative and engaging. Obviously, some were more entertaining than others, but all of them were total value for the time invested. Unfortunately for me, this is the only day I’d be attending. And, that is the only regret I have while I leave the venue today.